Matchday 4 of the Thai League started off with an entertaining encounter which saw Prachuap FC beat visitors Chainat Hornbill 3-2 thanks to an astonishing performance by trio Chitpanya, Caion, and Matheus Alves. The Killer Wasps are now on top of the T1 table with 9 points from 4 games. 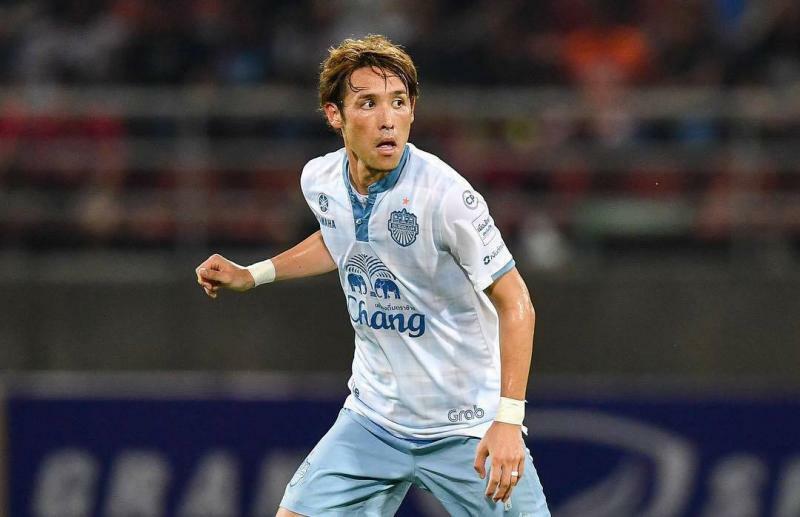 On Saturday, Chonburi and Ratchaburi suffered defeats at the hands of Suphanburi FC and Chiangmai FC respectively. This is now a third loss in a row for both clubs, with the international breaking providing a valuable opportunity for the pair to regroup. Meanwhile, Saturday’s best game was the encounter between Chiangrai United versus Muangthong United. The Kirins led twice due to goals from 18 years old striker Korawich Tasa and captain Teerasil Dangda, but were caught by the home side on both occasions due to William Henrique’s dazzling solo run and Lee Yong-Rae’s well-placed finish. Credits to head coach Pairoj Borwonwatanadilok, who has been under pressure in recent weeks, for bringing on substitute Adisak Kraisorn, who scored the 3-2 winner in the 84th minute. Sunday saw Bangkok United welcome defending champions Buriram in a match that may set the tone for the rest of the season. Teeratep Winothai kept his place up front as Vander Luiz’s replacement, and the versatile Puttinan Wannasri slotted in at on the right of a back three for the injured Mika Chunuonsee. Although this was Buriram United’s 2nd game in just 5 days, head coach Božidar Bandović only made two changes from midweek. Out went midfield pairing Ratthanakorn Maikami and Suchao Nutnum, replaced by Stephan Palla at left wingback, pushing Sasalak Haiprakhon inside alongside Japanese defensive midfielder Hajime Hosogai. It was a tight tactical battle between two evenly matched teams, but it was Hosogai’s unknown quality that took Bangkok United’s midfield by surprise. The ex-Japan international kept his cool out of possession and was accurate with his passing, breaking the opponent’s defensive line with his vertical through balls on a few instances. Mano Pölking’s men found it tough to penetrate through Buriram’s organized defense without playmaker Vander Luiz. The Thunder Castle also struggled to counter-attack against Bangkok United’s counter-pressing. Unfortunately for the home fans, an failure to clear the ball granted Pedro Júnior a shot at goal in the 84th minute, and the Buriram striker didn’t miss. Substitute Mike Havenaar’s aerial presence set up Nelson Bonilla for a shot, and he almost managed to equalize himself from a close-range header. However, the visitor’s defense stood firm and was able to pick up all three points on hostile territory. Božidar Bandović has completely reversed his team’s slow start to the season, overseeing two massive victories this week which have allowed the Thunder Castle to climb to second in the table. A draw would’ve been a fair result and Mano Pölking will be devasted with the defeat. However, the team must not let this get to their heads, as this international break is an ideal time to regroup and fight on.